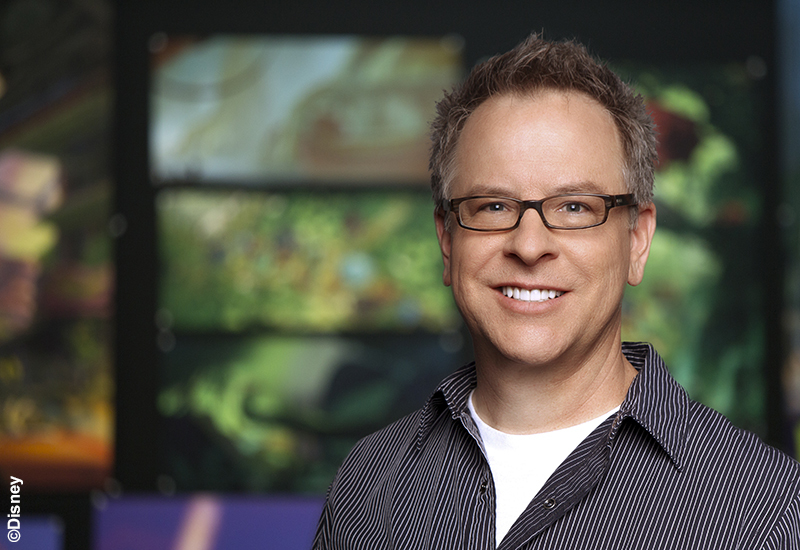 With the Blu-ray/DVD release of Disney’s Zootopia today, we spoke by phone with the film’s Emmy-winning and Oscar-nominated director Rich Moore, who, alongside co-director Byron Howard, has created this wonderfully lush and colorful animated feature about a crime-fighting bunny named Judy Hopps and her journey to a mammal-filled metropolis called Zootopia. I loved Zootopia! I can’t wait for my niece and nephew to see it when it comes out on DVD. Can you tell us how the world of Zootopia came to be? 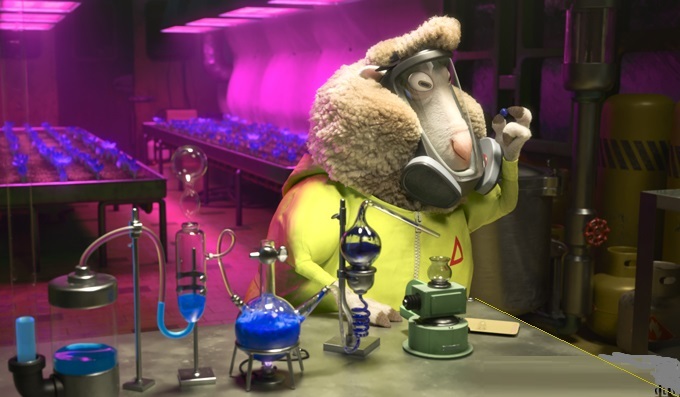 Well, the world of Zootopia came about with my directing partner Byron Howard. When he finished Tangled, he was thinking about what was next for him, what he was interested in. It all came from a conversation that he had with John Lasseter, about why Disney had not done a talking animal movie in a really long time. But it was one of those things that so many of us working in animation remember — our favorite first films. Mine was the original Jungle Book, and Byron loved Robin Hood. John Lasseter, had a favorite, way back from the ’40s, called The Wind in the Willows. It was just weird that we had not done one of these in a long time. And John was like “Oh my god! You’re right, we’ve gotta do one of these things!” So that’s where the genesis of the whole thing came from, just the love of those movies. Judy Hopps is a character that all humans, big and small, should look up to. How was she created? Judy came about in trying to design, “Well, who’s the perfect protagonist? Who’s the perfect main character that we could be introduced into this world by?” We wanted a character who had big dreams, of wanting to become a part of a big city but coming from a small town. We wanted to make her an underdog. Someone that felt like in the city anyone can be anything, and then put that city motto to the test. She was really going to push it to its limits. And that’s kind of where Judy came from. And we decided on a rabbit, because it seemed like who would be the most unlikely protagonist? What would be a profession for a very unlikely animal? A bunny cop! Well, that seems like a struggle that would be fun to watch. Zootopia parallels explores important issues like bias, discrimination, sexism, racism, and, of course, predator versus prey. Why was that important to do? Well, I think what’s really, really great about Judy is that it’s a character that just about anyone can look and put themselves into. And it’s funny, it’s like a weird paradox — you would think, “Well, wouldn’t it be kind of hard to relate to a cartoon rabbit? And wouldn’t it be easier to relate to a human being, like in a live action movie?” And, I think, the fact that she is this blank slate, that she is a cartoon rabbit, that anyone can put their struggle into what Judy is going through. And I think that’s what makes her so appealing. We wanted to take on the issues of bias and stereotyping and discrimination, especially when we got into the research on animals and the clear division in the mammal world of predator and prey, and how they survive. The prey survive by fearing predators. And we started looking at it like this kind of modern, all-mammal world where predator and prey live, side by side, and then we thought, “It would be so cool to see that fall apart. What if a villain was able to dredge up the ancient fear that prey have for predators, and tear apart their social fabric?” We didn’t set out to mirror the world as it was at the time, because when we were starting to make the film, none of these things were in the news as much as they are now. We started to see the parallels as we were making the movie and we were like, “OK, we are oddly timely with this film. So we owe it to what we are trying to tell, to tell a really, really honest version of the story.” Judy is not going to be this sterling, Eagle Scout character that’s going to come in and cure racism. She’s going to discover that it’s insidious and even resides in her a little bit. The answer is that it’s a personal battle, it’s introspection of oneself. It’s not about trying to change everyone else around you. Because she definitely comes into it wanting to make the world a better place, and discovers she can do that by being the best Judy she can be. 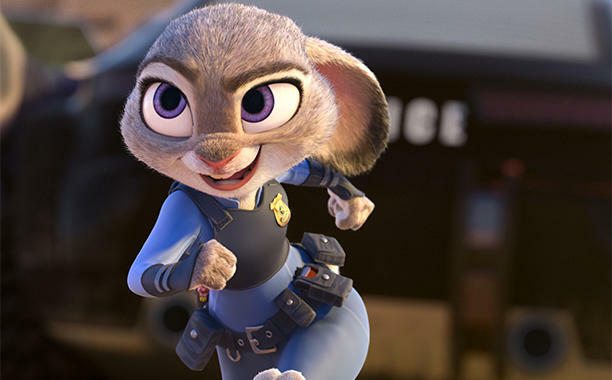 Judy is voiced by the lovely Ginnifer Goodwin. Nick Wilde, her partner in crime, is voiced by Jason Bateman. What was it like working with them? Good ‘ol Ginny. A dream come true. I loved Jason Bateman on TV ever since, like, both of us were little kids. Seeing him on Silver Spoons, The Hogan Family and those great shows from the ’80s and ’90s, as well as Arrested Development, and all the comedies that he’s done, like Horrible Bosses. I’m a huge fan. So for me it was a dream come true to work with someone that I really, really look up to as an actor and a comedian. And the same with Ginny. I think that people think of her as always playing these very sweet roles, you know like Snow White [on Once Upon a Time] or her character on Big Love. But she always brings a level of determination and strength to her characters. She can play super appealing and super capable all at the same time. It is kind of who she is as a person. But she’s also so nice, and definitely someone that you want on your side. She’s all about justice and living a good life. She really does embody Judy Hopps. There’s so much of Ginny in that character. I would! You voiced characters in your directorial debut Wreck-It Ralph, as well as Doug and Larry in Zootopia. What do you enjoy so much about that? When you’re directing, you’re overseeing so many different groups of people — animators, designers, actors. It feels like my eyes have to be open, always listening and watching and giving input to what’s being put in front of me. But with voice acting, you can just put all of that aside and just crawl into the skin of a weird green cough drop named Sour Bill (laughs) for 30 minutes. You can be this character and just have fun. Not that the rest of the job isn’t fun. There’s just something about getting behind a microphone and acting a character that’s fun and cathartic. What’s your favorite scene in Zootopia? It’s not the funniest scene, but it’s a scene on the gondola, or tram, in the rainforest district [of Zootopia] when Judy and Nick start to relate to one another. They start to bond as friends as Nick tells his story as a child being bullied by the Ranger Scout troop. And Judy is really starting to see that there are more things alike between her and Nick than different. I just love the acting, I love the animation, I love what Michael [Giacchino] did with the music. And the design of the rainforest and just how moody it is. There’s just something about that scene, that when it comes on screen, even though I’ve seen it so many times, I get very engrossed by it every time. 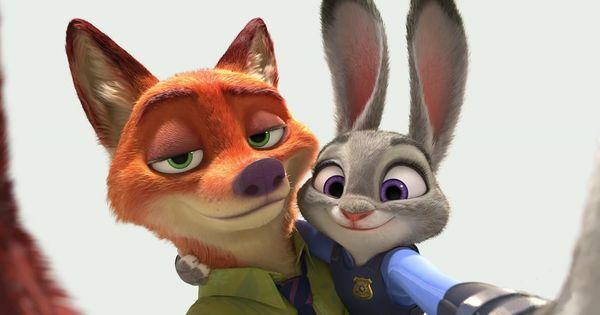 Rumors have been swirling about a Zootopia sequel, what’s the likelihood of this? It would be so much fun. It’s definitely a world that is ripe to tell other stories in. It’s not like one of those movies, where you feel like you’ve buttoned it up and there’s really no more to be said. In this world, there’s so much that didn’t make it into the movie, that it would be great to just kind of explore the world some more. I would love to. So much insight! I like it, especially learning about his favourite scene.